With the biggest career fair of 2018 approaching, we started thinking about how to give the job seeker, the best career fair experience. We’ve been working hard to include the best companies, activities, and figures to help you make the most out of Jobzella’s 3rd career fair. We believe that there is always room for improvement; That’s why we created “The Ultimate How-To guide” for Jobzella & PDF’s 3rd career fair. Read on to find how this guide will help you achieve what you came for. How will the guide help me? Some of us have been career fair veterans for years; we know all the ins and outs, know how to maneuver and navigate the fair. Others, however, are attending career fairs for the first time or are unsure of how and what exactly to do in a career fair. This guide is for both; no matter how experienced you are, there’s always room to learn. Arm yourself with the knowledge you need to tackle every aspect of the career fair successfully. 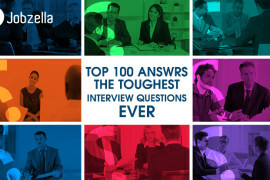 Download Jobzella’s “Ultimate How-To guide for Jobzella & PDF’s 3rd career fair”. 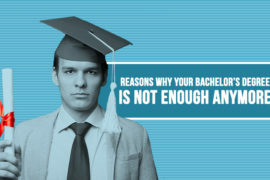 You can also read more on the topic on Jobzella’s blog. 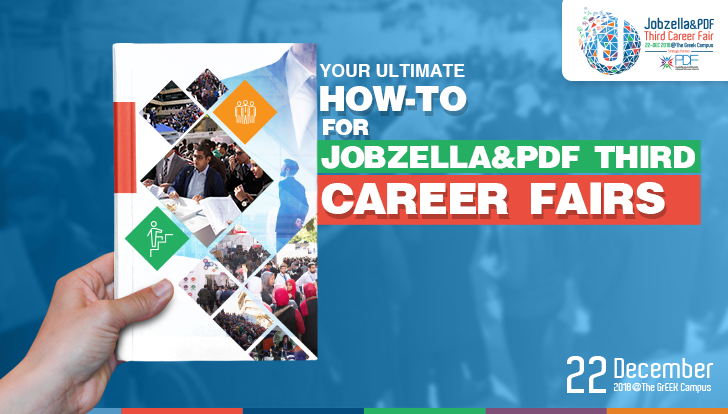 After reading the how-to guide for Jobzella’s third fair and becoming a career fair expert, you can now check Jobzella’s “From zero to hero” guide to become a true professional in all career aspects.